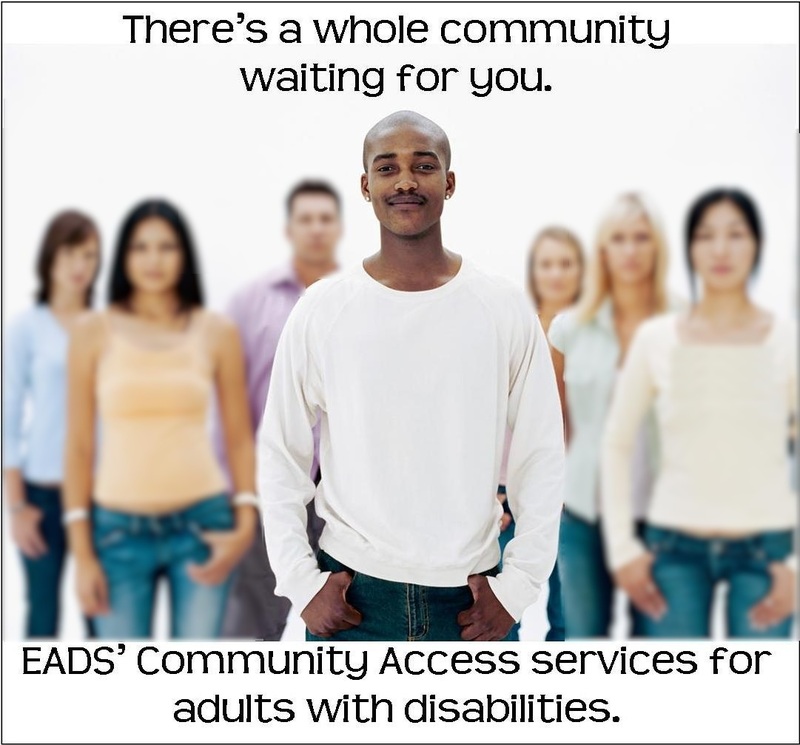 We’re delighted to announce that, beginning in January, 2013, EADS will be an eligible Community Access provider in King County. It’s a one-on-one service that helps people with disabilities participate in inclusive events in the community by connecting them with individuals or groups in the community with whom they share an interest–and then providing the supports they need to join activities centered on that shared interest. Community Access is one of the services available, at no cost, to adults with developmental disabilities on the DDD waiver program. We’re also developing a hybrid community access program, involving small groups with shared interests, that will be available as a private pay service. Rates for that program will start at $10/hour, based on the activity, the size of the group and the level of care required. Under both programs, participating individuals are responsible for any incidental fees associated with the event–such as admission fees, food and other purchased items. How will EADS’ community access program differ from other providers’ programs? Personal care services. Some community access providers don’t provide personal care services (such as bathroom assistance or assistance with meals). We believe people shouldn’t have to choose between the care they need and the activities they want to enjoy. We’re committed to providing personal care services to our community access service recipients whenever they’re needed. Our commitment to client-centered services. We’re just starting down this path so we don’t know ourselves yet what the service will look like. But, we have an unshakable commitment to client-centered services so the program design will be driven by what we hear from our clients and their families. We’ll probably begin providing services to a small number of clients in mid-February or early March. Send an email to info@eads-cares.org.